If your company is like most, multi-channel brand experience is difficult to manage at the best of times. Between different technology, products, people, currency, laws and properties to consider, everything can get complicated. Branding in-store, online, relationships with customers, online marketing, inventory systems, loyalty programs, security, IT, consultants, merchandisers, licensing agreements and retail packaging, all of which requires creating an appropriate, consistent brand experience throughout all channels. This term refers to interacting with customers through various channels of communications: websites, stores, email, mobile phones, physical paper, mail order catalogues and more. It also includes having the customer take a desired action as a result of this communication, which is usually to buy the product or service, through their chosen channel. Put simply, it’s about choice. 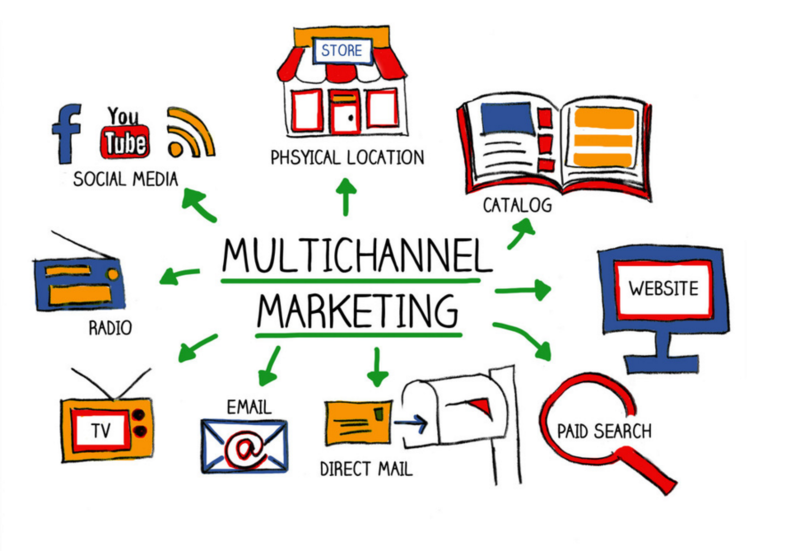 Multi-channel marketing gives prospective customers a choice in how to buy, whether it’s through online shops, brick and mortar stores, mobile commerce, telesales or other channels. The transition from one channel to multiple channels is certainly riddled with challenges, but there is plenty of reward at the end. The reason your company needs multiple channels is because you need to be where the customers are–and there’s no shortage to where they are. Multi-channel customers will spend up to four times more than an one-channel customer would on average, in case you needed a little more motivation. No doubt today’s customers have far more control with this process over the marketers compared to just a few years ago. Thanks to an increase in how many channels are available for sales, customers have far more choice than they’ve ever had in the history of commerce. There are more ways today to reach a prospective customer, and the number only continues to grow as time goes on. 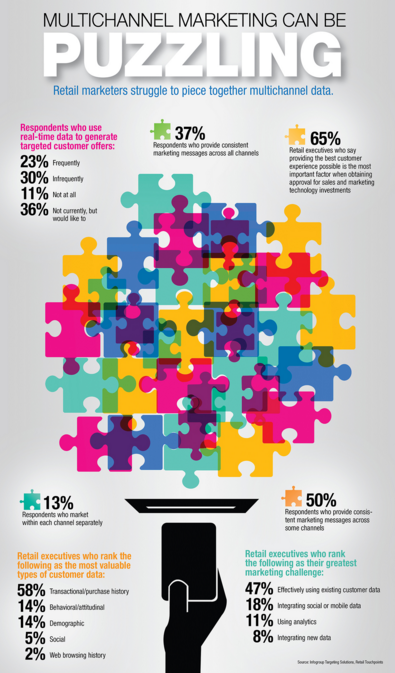 Because of this, multichannel marketing is more than just a smart choice: It’s necessary. You must have one view of the customer; this is because today, customers tend to interact in various ways. You must have a sense of how the customers in each channel act while also understanding what kind of value each one will bring to you and the company. Having lots of information about customers isn’t equal to having one view; how you handle the data is as important as what that data is. The view must always evolve because customers and businesses always change. That means you’ll always need to come up with new data and update the old stuff. They say everything looks like a nail if you only have a hammer, and the same can be said for marketing as well. If you’re only equipped to reach through one channel, you’re not going to perform effectively on each possible platform. By taking the time to develop this platform, you’ll have the opportunity to adapt to emerging channels while still maintaining access to the traditional ones. Marketing plans going forward will be simplified at all stages of the campaign, which can later be replicated and modified for future campaigns. All of this comes with the benefit of accessing the right person at the right time through the right channel with the right product. A positive customer experience is a powerful way to stand out from your competitors. While it’s important to ensure the customer is having a good experience, it’s just as important to ensure that experience is consistent across each channels. Customers think of a brand as a complete whole, regardless of whether they interact with you online, on the phone or some combination thereof. If the customer has a bad time in the store, what does it matter if the website worked well? All channels must be treated equally to deliver consistency as expected. Although marketing tactics have definitely changed throughout time, there’s one thing that has always stayed the same: At the end of the day, the customer wants to feel special. They want to feel that the business has made a positive change in their lives and that they can benefit from acquiring the product or service. Tactics might need to be defined across each channel, but your ultimate end-goal should be to ensure your customer is getting a consistently positive experience at all points.